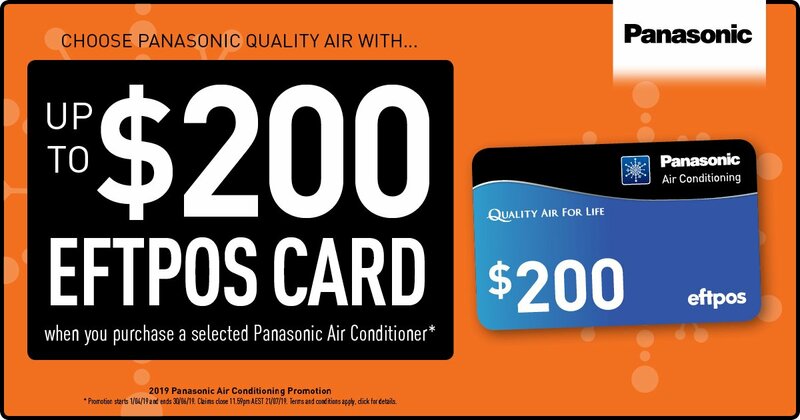 For a limited time, only Tozer Air Conditioning & Electrical is giving you an EFTPOS card up to the value of $200 when you purchase a Panasonic air conditioner. 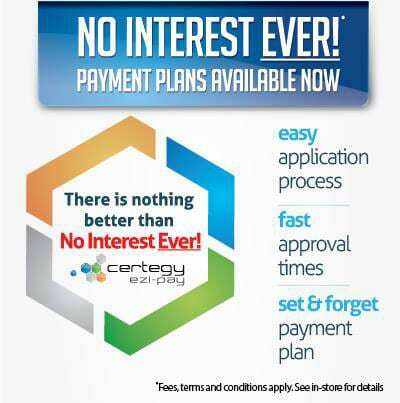 Unfortunately, this is only for a short period of time so to avoid missing out contact us today! 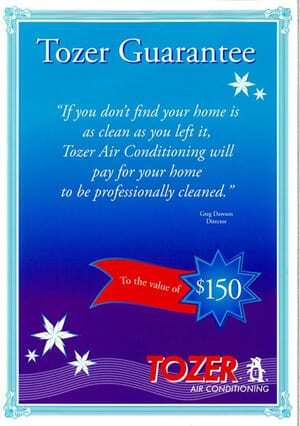 "If you don't find your home is as clean as you left it, Tozer Air Conditioning will pay for your home to be professionally cleaned"
Contact us for more details on these special offers or pop in and see us.